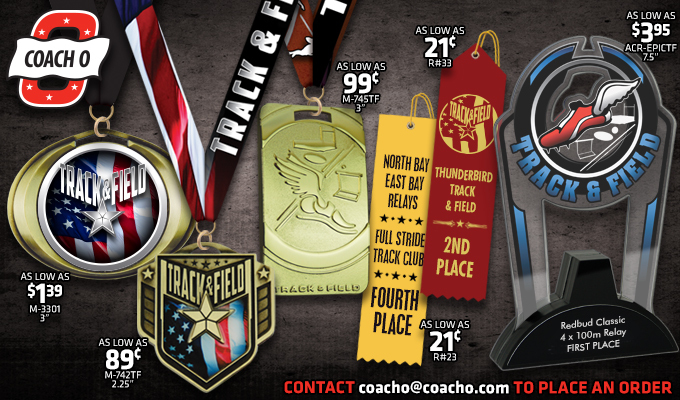 Coach O is pleased to announce that we carry a full line of track and field equipment. 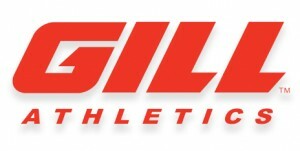 We are working in conjunction with MF Athletics, Gill Athletics, VS Athletics & Marathon Printing. Save $5 with promo code “coacho” Buy Now! 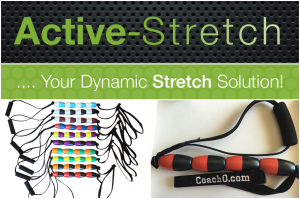 Custom colors, bulk ordering and embroidery available; contact activestretch15@gmail.com for more information. 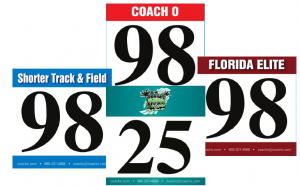 Brand your event with customized hip numbers! Contact coacho@coacho.com to place an order. Order online using code “Coach O”. For assistance contact coacho@coacho.com. We have a large selection of awards for your competition. To place an order, contact coacho@coacho.com.